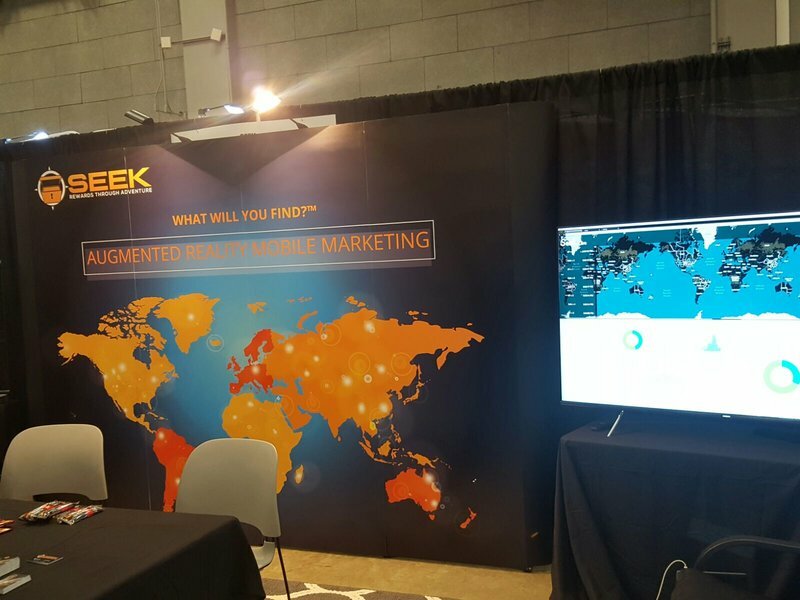 With hundreds of events over the span of a week in multiple locations in downtown Austin, Texas, SXSW’s Interactive Conference can not only be a nightmare to navigate, but also presents a challenge in terms of sifting through the noise to get a broad picture of emerging trends. Some trends, such as virtual and augmented reality, jump right out at you through ostentatious displays, while others, such as closing the gender gap in tech are less obvious. 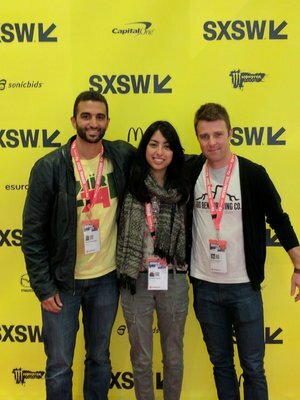 Your humble DAI cohort—from left, Karim, Dipika Chawla, and Kevin Carlucci—checking out all the latest trends at SXSW 2017. Last Year, Artificial Intelligence Really Arrived—This Year, It’s Already in Your House! A great deal of events at SXSW in 2016 focused on how the explosion of data from cell phones and networks embedded in all sorts of electronic devices have enabled machine-learning algorithms to finally be applied to everyday situations such as assisting people with online shopping. But it seemed that a lot of programming was still focused on the potential for artificial intelligence (AI) applications. This year brought actual applications—from improved customer service through chat bots (trend alert!) to fully automated driver-less cars. And let us not forget that AI is already in our house, whether obviously (think Amazon Echo’s Alexa) or less obviously (you really think that there isn’t something helping you decide what to watch next on Netflix?). That’s right…intelligent algorithms are already in your life, and they’re watching and learning all sorts of things about you (cool or scary?). No matter what the tech trend—marketing is always one of the first use cases. Smart Cities—Yes, the Public Sector is Taking a Walk on the Cutting Edge! I noticed quite an uptick in the number of discussions, demonstrations, and presentations on the growth of Smart City initiatives at SXSW this year. Smart Cities weren’t absent from SXSW 2016, but at SXSW 2017 they were clearly featured. From a fascinating keynote on how cars in the future will use technology from networked sensors around cities to reduce traffic (i.e. time and money wasted) to the Smart Cities Meetup that offered lightning talks from public sector representatives and private sector players on partnerships being formed to use the Internet of Things (IoT) technology to address public resource and city management—Smart Cities were everywhere at SXSW 2017. It seems that in 2017, the public sector (in particular city governments) are chomping at the bit to partner with private sector network infrastructure and application companies to bring tech and IoT, Big Data and AI to bear on pressing public sector problems. Look out for the next Smart City design competition near you! Remember last year when we mentioned the tech sector has a not-so-secret diversity problem? Well, it’s still there, and by gosh it seems like we’re reaching a point where it can no longer be swept under the rug. As we continue to increasingly understand the benefits of digital technologies, we are also continuing to learn that the digital gender divide is becoming ever more important. I took a quick scroll through a page of the scheduled programming at SXSW 2017 before going and was immediately struck by how many event headlines included terms such as “inclusion,” “diversity,” and even “bro-culture.” Recognizing a problem is the first step to solving it, right? SXGood Gone Bad or Just Gone? SXSW 2016 featured a programming track titled “SXGood,” which exhibited social innovations from around the world. The track included an SXGood Hub, a creative content space sponsored by the United Nations Foundation that brought together attendees involved in innovating for social impact. The Hub featured presentations, exhibition stands, and workshops as well as a central space where, at any given time, those of us interested in international development would be certain to find something relevant to our work. This year that hub was noticeably missing, and along with it, many of the organizations that featured heavily in 2016. While this year’s conference still had a social good track, much of the programming was focused on domestic impact, and left those of us who witnessed last year’s hub wanting more. I’m excited to see how the rapid integration of “cutting-edge” tech such as AI and IoT in the domestic private and public spheres translates over into international development, especially for easy-to-imagine applications such as urban planning and economic development. Our Maker Lab has been integrating IoT into our projects for a few years now, in a one-off demand-driven way. Perhaps a more integrated approach is just around the (Smart City-designed) corner?